Buying gifts for travel lovers doesn’t have to be complicated. 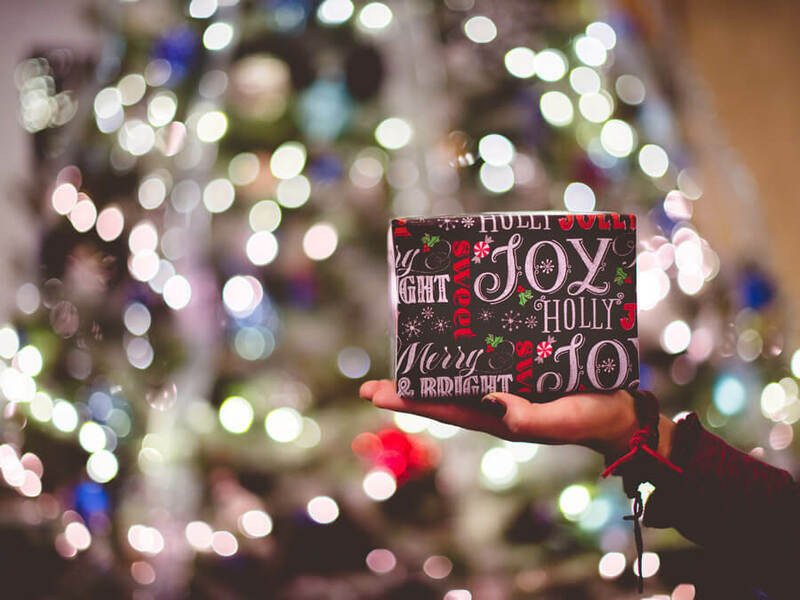 Here you’ll find some of the best gifts for travelers that include everything from fun things to decorate the home, cool stocking stuffers and practical travel items that every traveler will love. 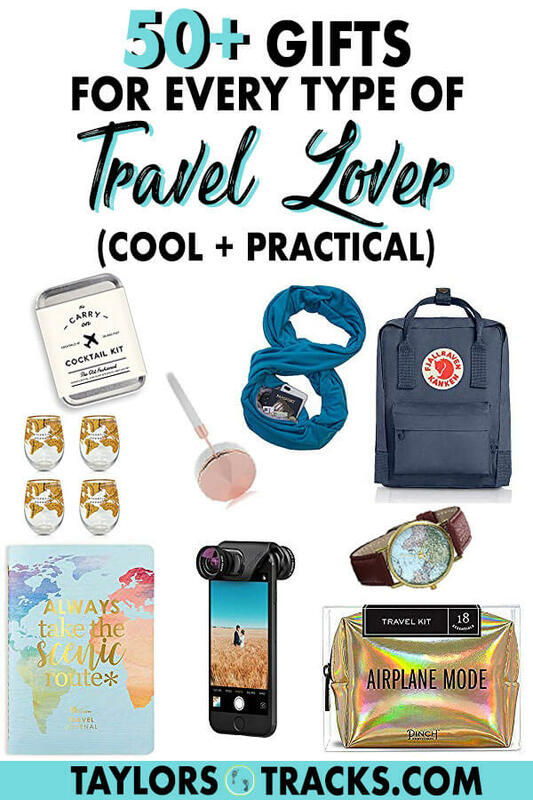 The traveler you’re buying for will thank you for these totally awesome, epic and absolutely great gifts. The best gifts for travel enthusiasts for when they’re not on the road. 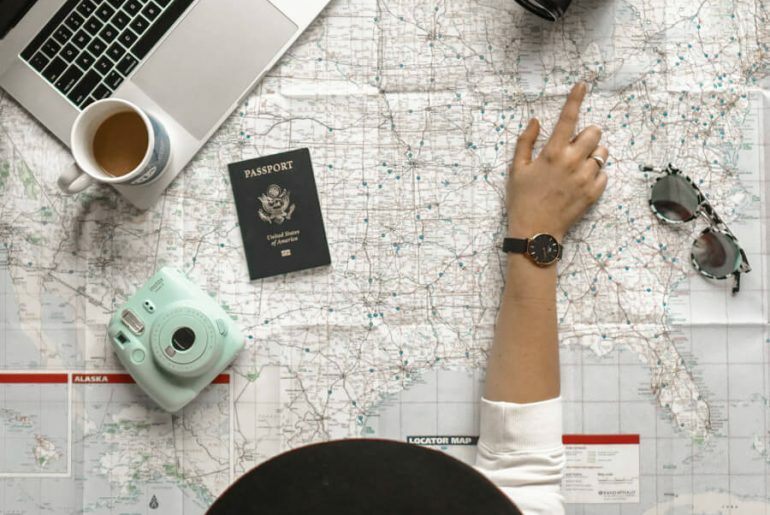 These are the best gifts for travel lovers who love to decorate at home or just love anything with maps (which most of us travelers do!). What traveler doesn’t want to come home and scratch off all of the new countries they’ve been to? Plus then they can daydream about all the countries that are still a solid colour on their map and plan their next trip! This globe that is also a light is the perfect bedside lamp that your traveler didn’t know they needed. 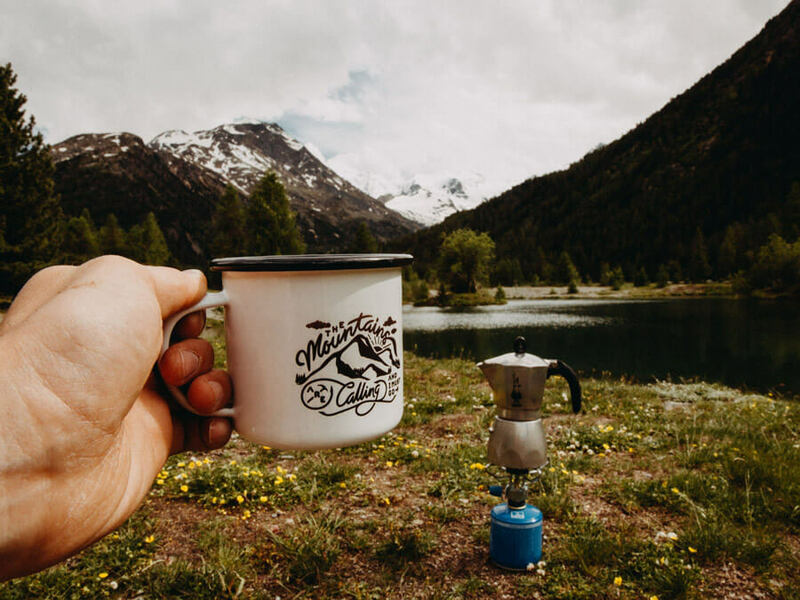 Find mugs with maps and inspirational travel quotes on them to keep your traveler dreaming about all of the world’s incredible places. You can even get mugs personalized. Wine glasses, whiskey glasses, beer glasses…you name it. There is a glass with a map on it to remind travellers of their travel obsession while dining at home. And while we’re talking about drinking…take a look at these map coasters! How perfect are they for the traveler who also loves to entertain? You can find a ton of other designs here. A watch because every traveler needs to know the time and is a very popular travel gifts for her idea. So the traveler can dream of travel and have cute travel decorations in their room. Traveler’s love journals and many keep one while on the road to remember memories clearly and to look back and reflect on experiences while on the road. It’s a precious keepsake for many traveler’s and a cute one like this any traveler will love! Help a traveler keep track of where they’ve been with this awesome cork globe that allows you to stick pins on every place you’ve been! 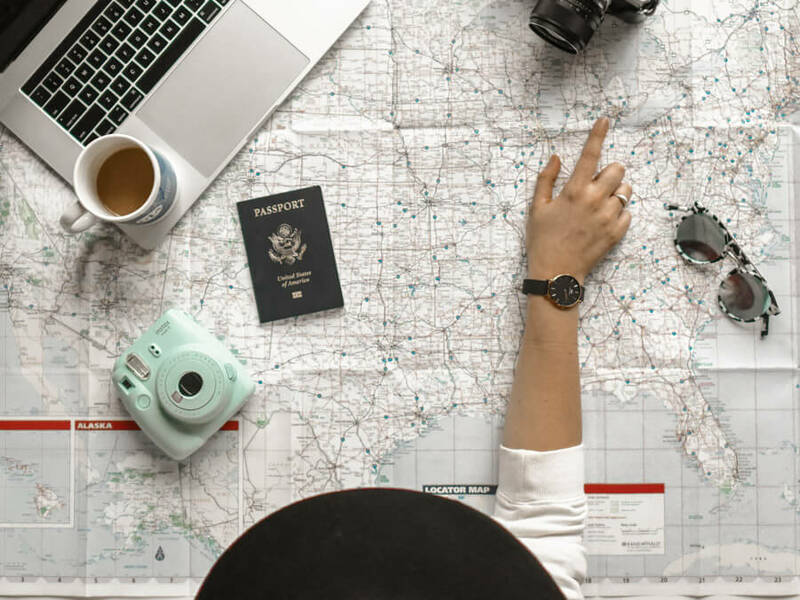 A phone case is both cute and practical and with so many options for phone cases with maps you’re bound to find one for the traveler on your list. The best gifts for travelers who are always on the road. These gifts for people who love to travel are for those who go on longer adventures or travel frequnetly. They’re practical gifts for travel that travellers will actually use. Packing cubes make a traveler’s life so much easier. It’s easier to pack, easier to find things, saves space and is great for dividing clothes types and dirty from clean. There’s nothing worse than losing cords while traveling or constantly untangling them. This practical travel gift is the perfect solution. This cord organizer has spots that separate each cord and then rolls up to keep them in place and compact to fit into a carry-on plus it has a bonus spot for an iPad. This clear toiletry bag is TSA approved so there is no need to grab a clear bag once going through security at the airport. 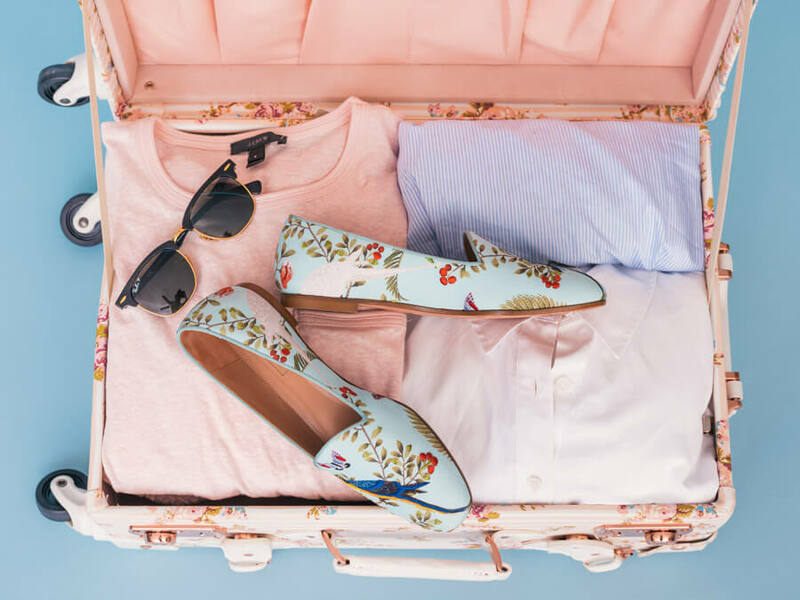 It’s the required size that is allowed in a carry-on and the traveler needs only to pack their toiletries once at home and not have to open their bag while at the airport. Buying water on the road really adds up, no matter where people are traveling. A reuseable water bottle is ideal to save money on the road and a collapsible water bottle helps to save space when it’s not being used. With almost every airline restricting weight limits on bags and asking for ridiculous fees if a bag is over the weight limit there is no better time to give a portable luggage scale then now. Especially if the traveler in question flies frequently on budget airlines, this small and lightweight scale is perfect for on the go and saving money from those extra fees. A day pack is useful for every kind of tip and this specific one is perfect for travellers. It fits a ton of stuff, has a padded seat cushion which is removeable and a sperate compartment for a laptop. I personally use it and love it. Laundry is the last thing people want to think about when traveling but this portable laundry system will help to save money, time and is super easy to use. It’s also perfect for any campers! This is the most practical thing I have ever bought for organization. It keeps all of my cords together and I recommend it to anyone who travels with multiple electronics. It fits in a backpack and holds everything together, perfect for a carry-on. Plus it has a pocket on the back to store papers. I don’t think I need to explain why this is practical and a necessity! This one is ideal because it works world-wide and has 2 USB plugins to charge multiple electronics at once. A microfiber quick dry towel is essential for backpackers, especially those who stay in hostels as hostels often charge extra to rent a towel. These dry fast and are quick to throw in a backpack. This neck pillow is different. It doesn’t take up a ton of room like the classic neck pillow as this one can fold up and it supports your neck and head better in one position that can be adjusted. This travel scarf is practical for both warmth and safety. Many people fly with scares to use as pillows and to keep warm on planes but this one also has a secret pocket to keep important things such as a passport. These are ideal for traveling, especially if your traveler goes on long flights. Your feet can swell and these keep a traveler both cosy, comfy and stop the swelling. Gifts for travel that are always wanted usually include electronics. These are great gifts for people who travel and want to capture their travels as best as possible. This handy camera accessory will let the traveler you’re buying for take pictures anywhere. This is the ultimate mount that will help take incredible sunset videos, get hard to take shots and will even be perfect for solo travelers as they can mount their camera anywhere. I mention a Kindle in every post I have about gifts or must-haves for travelers. They really are a great investment as books become heavy or it can be difficult to find books in the language you want (yes, even in English!). A Kindle is lightweight, lets you store hundreds of books and is something that will last a long time. I personally recommend the Kindle Paperwhite but a more budget option is the Kindle Fire. I know, I know it’s obvious that traveler’s need headphones. But I just had to include these ones because they’re noise canceling and look freakin’ awesome. This brand, Frends headphones, has a ton of styles available and are used by a number of well-known travel bloggers. Every traveler who has a portable speaker instantly becomes loved. They’re practical for hanging out in hostel rooms before heading out for the night and great for chill beach days. This speaker even comes with a travel case. Every second traveler I meet seems to have a GoPro (myself included) and that’s because they’re so damn practical. They’re compact, take high quality pictures, are waterproof and shockproof. It’s the perfect action camera but also capture great shots in cities too. Don’t believe me? Check out my Instagram for proof. Below is the latest version but if you want a more budget option the GoPro session is smaller and cheaper. I always recommend the GoPro selfie stick for anyone who has a GoPro. I consider it one of the best investments I’ve made for photography as it’s a selfie stick and has a hidden tripod in the bottom. 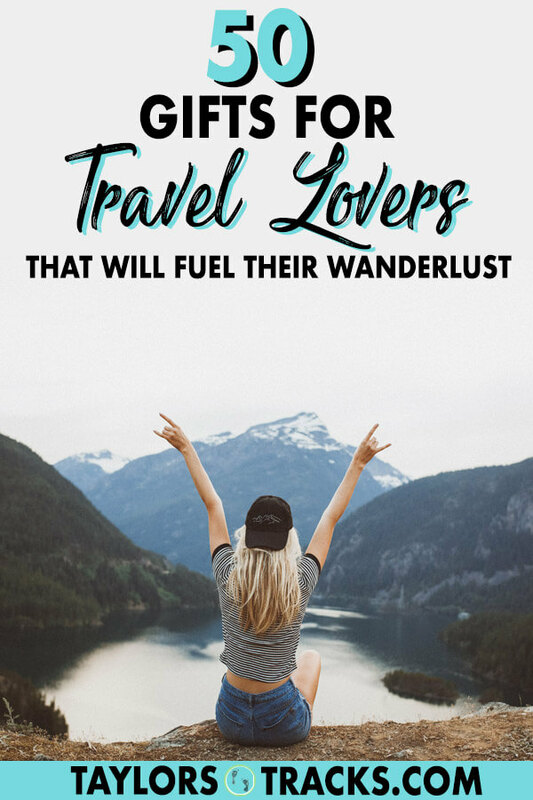 Solo travelers will love this! 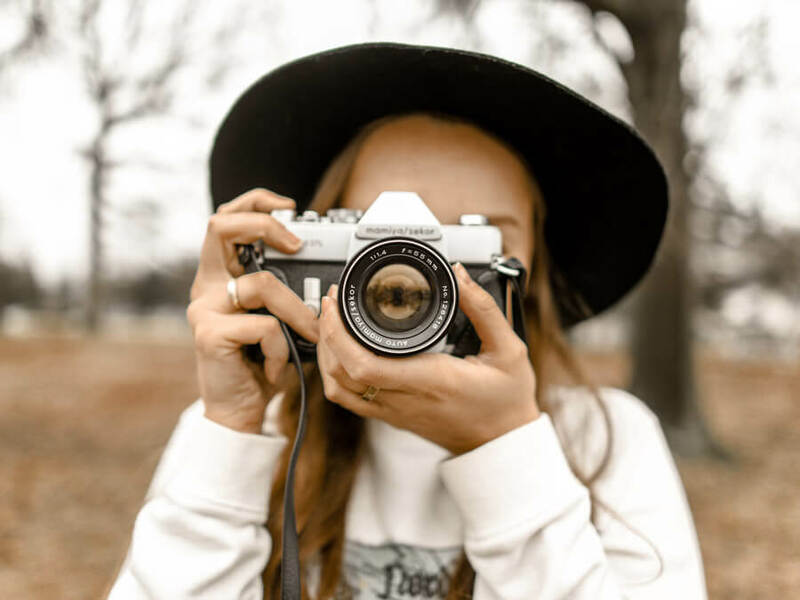 Since videos are becoming so popular these days it makes sense that traveler’s want to take more videos and show off their awesome adventures online. A steady cam is perfect because it’s easy to use, compact and makes videos look epic. There are options available for GoPros, iPhones and DSRL cameras. Have you taken a look at Instagram lately and seen all of the drone shots? And how amazing they are? 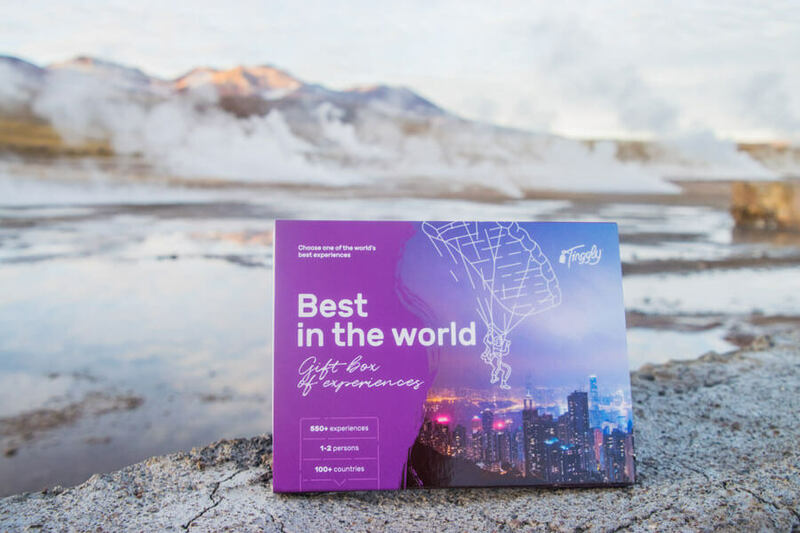 The traveler you’re buying for will love you for getting this awesome gift, the gift of freaking awesome travel pictures and videos. A great option for travelers who hate carrying around too much stuff but want to up their photography game is clip on lens for iPhones that will change the lens to be wide angle and more. It’s a simple solution that takes up minimal room but makes a big impact. Travel presents are also easy to find in stocking stuffer size. These travel gift ideas are ideal for those looking for something small to give or are on a shopping budget. Give a gift to a traveller to help them keep memories of destinations they’ve visited and give back to those in need. 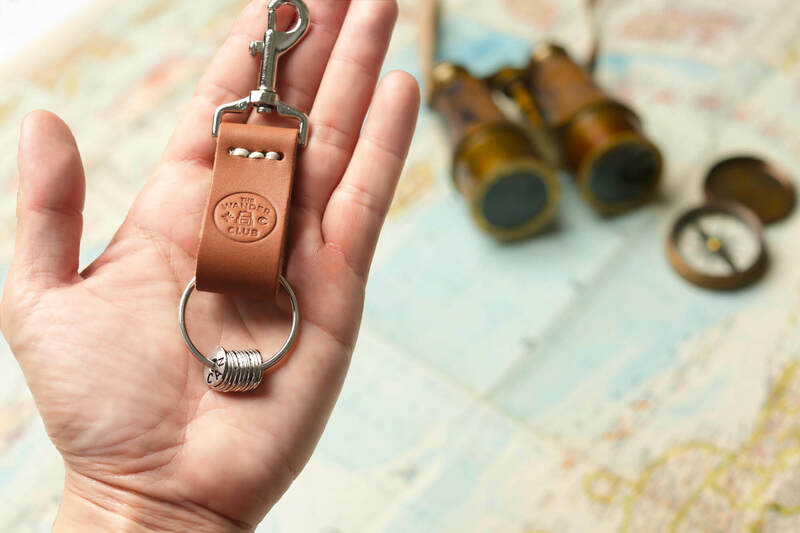 The Wander Club wanderchains allow travellers to collect key rings of countries, states and continents that they’ve travelled to and it’s small enough to travel with. Plus for each engraved ring you buy a meal is given to an orphan through the non-profit Rice Bowl. This is an awesome way to keep track of memories and have them instantly. This portable printer is a fun stocking stuffer than print off polaroids straight from a smartphone. This mini travel kit is perfect for carry-on and has all of the essentials that someone will need during a travel day. There are also mini beauty kits available that are extremely handy to have in your bag when traveling! Who wouldn’t want to know how? 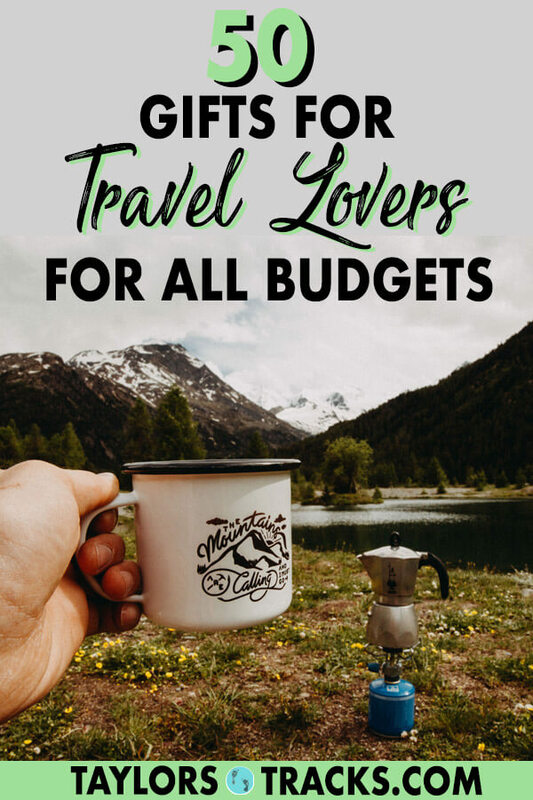 This books covers the basics of travelling and beyond that even a seasoned traveller can learn from for moving saving tips. Days on the road can be long and days out exploring can be even longer and with the amount that travelers use their phones the battery often doesn’t last a full day. A portable charger is extremely practical for every kind of traveler. And this one happens to be a charger small enough to fit in any bag! I personally use it and love it. Other travellers will love whoever brings playing cards along. Now this will make for some incredible Instagram pictures! The unicorn has been popping up all over the world but there are a ton of other options available too. A passport cover makes it easy to find your passport in your bag and protects your precious passport from damage because believe me they do see some weat and tear! You can find a ton of other passport cover options for women here and men here. Both practical and a perfect stocking stuffer, a luggage lock acts as both a lock on a bag and can be used to lockers when staying in hostels. This is why it’s best to buy some with a flexible top so that they can fit on any locker. Luggage tags to dress up every traveler’s bag and to make them quicker to spot. For the traveler who loves to always have a drink nearby. For eco travellers, trying to cut down on plastic is a main convern and these shampoo bars do just the trick. A good gift for travel lovers and awesome for shorter trips, this colouring book acts as entertainment while traveling or inspiration while at home. For the traveler’s who also love wine and love to bring some home when they’re traveling! These inflatable wine bags keep they precious goods from breaking in a checked bag. For all the travellers that can’t deal without their caffine, this will win their hearts. This is the best gift when you have absolutely no idea what to get the practical traveller. This gift let’s a traveller choose what they want to do in a number of destinations around the world. Give this simple gift and the traveller on your list can choose to tick off a dream travel experience such as a cruise past the Effiel Tower, a foodie experience, seeing the pryamids, trying a new outdoor adventure and more. These are must-have’s but often not bought. They’re perfect for the beach and are great to take into the water if traveling solo as they’re waterproof and float so all of a traveler’s important items can stay with them even on a boat or in the water. For the traveler who loves to work out and keep fit while on the road, this on the go fitness kit is the solution. The kit comes with its own bag and everything fits inside including a jump road, resistance bands and an exercise manual to create their own exercise routine. Paper maps go through wear and tear from your pockets and bags. No need to worry about ruining maps anymore though, these crumpled maps can withstand a traveler beating them up. Check out all of the cities available here. There’s nothing more annoying that having to constantly unravel tangled headphones and cords. This cord tacos hold cords in place so no more getting tangles.